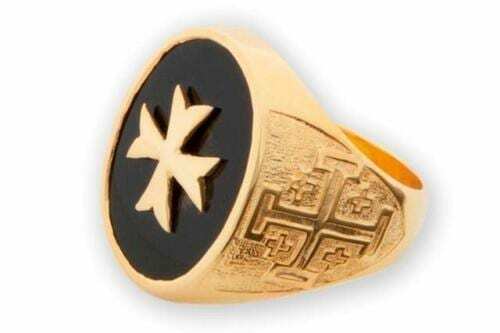 Ultimate smart ring and amazing value! 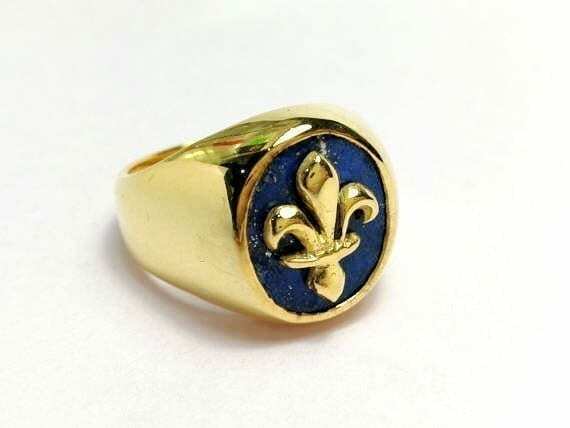 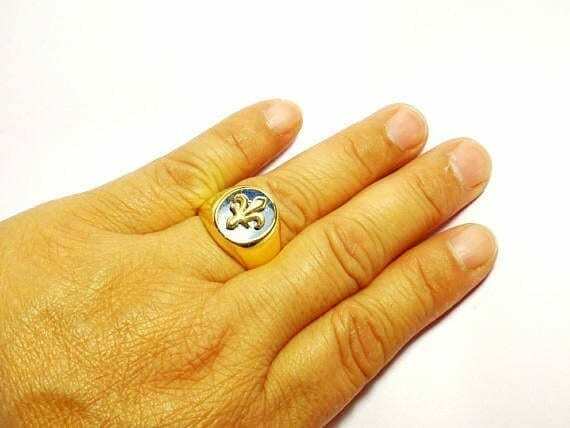 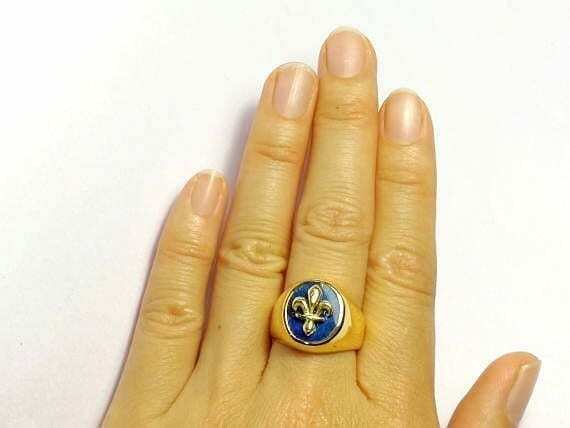 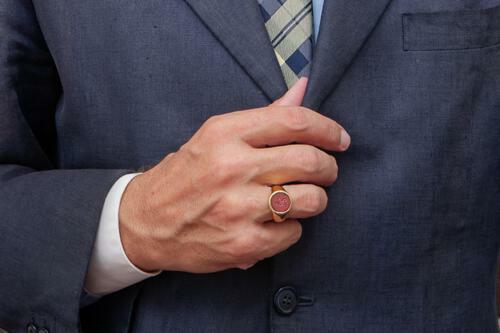 A gold plated (5 Microns 18 K Gold) sterling silver Fleur-de-Lys overlaid on lapis lazuli Ring is the starting point for this spectacular man’s ring with smooth shoulders. 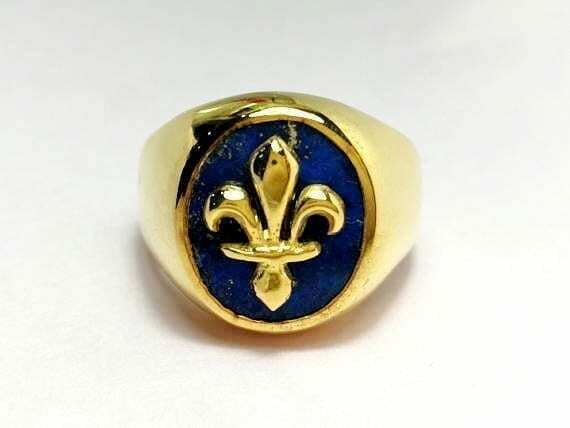 The oval face of lapis is 14 x 12 mm. 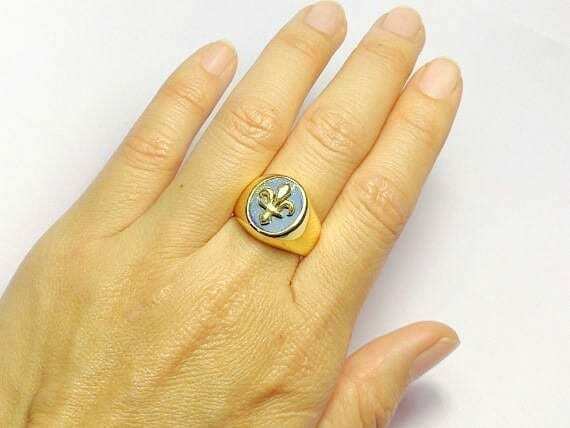 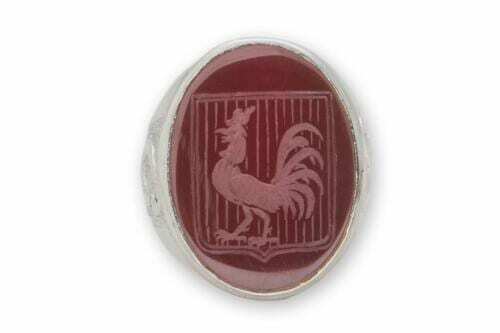 A small ring..